Home / Live-in Care / Why Good Oaks Live-in Care? We carefully and thoughtfully manage our clients’ care, working with them, their family and carers to ensure that we are doing everything we can to support staying independent at home. This means you can be sure that your Carer is working with an organisation that has a caring ethos running right through it – we really care for our Carers because we know that quality care is only provided by people who are valued, developed and rewarded for their hard work and dedication. My Carer takes care of all the little things that I used to find so difficult on my own. I'm much less stressed and when my family visit we can enjoy our time together instead of sorting things out. Good Oaks’ full-time, one to one live-in care provides an unparalleled level of personalised, dependable and quality care. For people who require a slightly higher level of support, live-in care can provide peace of mind for them and their families, at an attractive cost compared with residential or nursing care. Good Oaks has three pricing bands. During the initial assessment, we will discuss with you what band most suits your needs; companionship, personal care, or specialist care. It’s this simple, transparent and fair pricing structure that sets Good Oaks apart from both residential care and other home care providers. 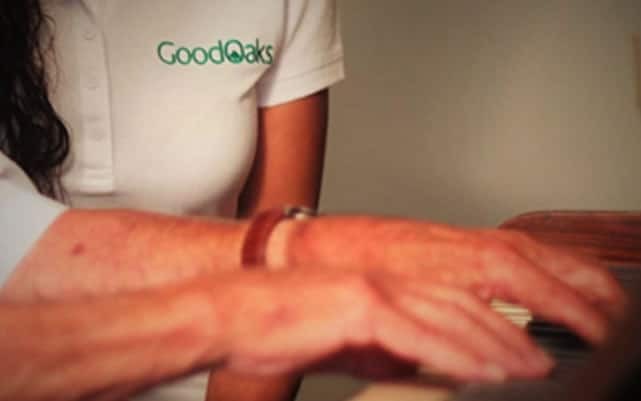 Good Oaks is proud to be able to provide the enabling, one-to-one support we do at a cost comparable to the average care home.